The morning is sometimes foggy. Jypyä Pop (Turku, Finland) on 28 July 2017 in Animal & Insect and Portfolio. Beautiful image in the fog . 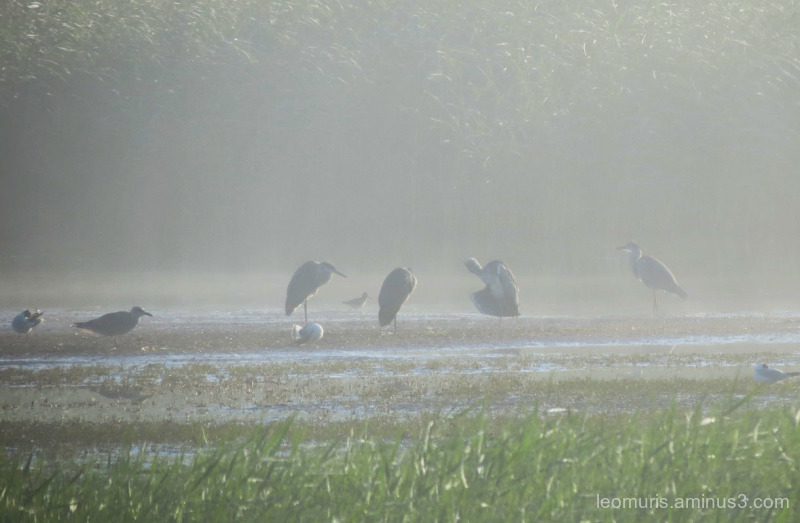 Quite an atmospheric shot of these herons. So foggy they can't fish. So the stand on the shore and shot the breeze. Beautiful early morning shot! A large family of herons and seagulls sharing the same space. such beautiful tones, lights & atmosphere!